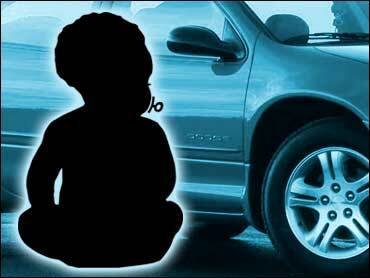 A state senator accidentally drove over his young granddaughter Friday, killing her, the senator said in a statement. Sen. Dave Hansen said he was leaving to attend a meeting when his granddaughter ran out of the house and got behind his car. Hansen said neither he nor his wife knew the girl had run outside. Hansen said he is in deep shock and attending to the needs of his family. The accident happened at Hansen's home in Green Bay at about 8:40 a.m. The toddler was sitting on a sofa when her grandmother left the room to get a blanket so the two could snuggle after the senator left for his meeting, said Jay Wadd, the senator's chief of staff. The girl then ran outside. "It happened that fast," Wadd said. "I think Ellie wanted to be with grandpa. She just loved him." Green Bay Police Lt. Mike Graham issued a statement calling the girl's death a "tragic, unfortunate accident. There are no pending criminal charges." Zaidel is the daughter of Paul and Cathy Zaidel of Stiles, a tiny town just north of Green Bay, Wadd said. Hansen and his wife have baby-sat the girl for about a year while her parents worked. A 59-year-old Democrat, Hansen has been in the state Senate since 2001. He has three daughters and seven grandchildren, according to his official biography. A tan car with a door ajar sat halfway down Hansen's driveway late Friday morning as police investigators took measurements at the scene. Neighbor Mike Maloney said neighbors comforted a distraught Hansen and his wife, Jane. "I just can't imagine it happening. It's terrible," Maloney said. Kids and Cars, a child safety advocacy group in Leawood, Kan., said about 50 children are backed over in a driveway or parking lot every week in the United States and at least two die. The typical child is 12 months to 23 months old, and 70 percent of the drivers are a family member of the child, said Janette Fennell, founder and president of the group. Kids and Cars is promoting a bill in Congress that would require automakers to make it easier for drivers to see what is behind them, either with better mirrors, bigger back windows, cameras or sensors that automatically stop the vehicle.